JAMES ISLAND, SC (WCSC) - James Island residents plan to share their ideas and opinions about the second phase of the Maybank Gathering Place project Wednesday. The plan looks to add commercial space, and over 300 new apartment units to the 22-acre property, joining The Standard apartment complex already built as phase one. 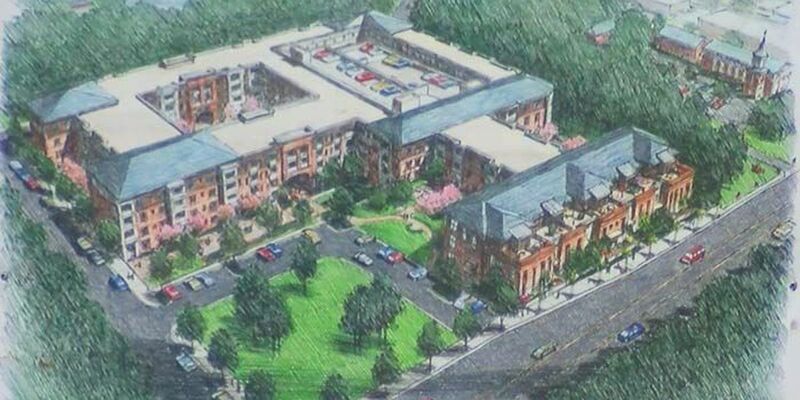 Phase II of the project would be done on the land between The Standard and James Island Shopping Center. Many islanders say more construction of housing complexes along the highway is going to add even more problems to the area. "This is going to contribute to an already overburdened infrastructure that we have in that part of James Island," said Garrett Milliken, who lives on James Island. In the next few weeks phase I of the project will be complete as The Standard apartment complex will opens housing 285 apartment units. Core Property Capital, the developer for phase II, is proposing to add more apartment units to that area of Maybank Highway, a concept not all city council members are thrilled about. "The gathering place district is supposed to be very, very mixed-use," said Charleston City Council Member Kathleen Wilson. "The whole intent is to keep people like me on the island, rather than leaving the island for daily errands." "The Gathering Place concept, is a good concept, but the functionality of this particular property is not working," said Charleston City Council Member Bill Moody. The city ordinance for this kind of development allows for an unlimited number of people to live in that area, but is focused on bringing other aspects like shopping and food to that property. Council members and those who live on James Island feel this phase of the project has wandered far off that course. "There was some retail that was suppose to be there," Moody said. "We've told them to look at that, and bring us back a better plan." "I would like to see the developer take what we're saying to heart, and substantially reduce the number of the apartment units, if not completely re-work the plan and eliminate housing," Wilson said. According to renderings of the site, Core Property Capital does want to incorporate shopping, restaurants and office spaces into the area. Members of team say it all depends on who opts to lease with the site. Wilson, along with Council Member William Dudley-Gregorie feel the "Gathering Place" zoning ordinance should be revised to prevent something like this happening in the future. Plans for this phase have yet to be submitted to the city. The city's design board and other committees would need to address the plan before the council's full approval.